BUILDING size: 19,588 sq. 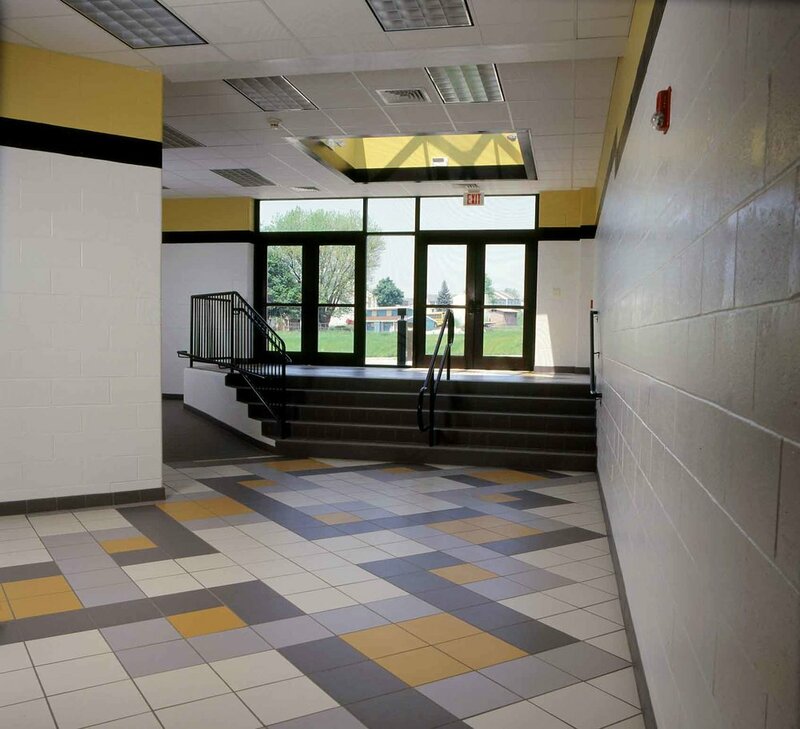 ft.
Renovations to the existing gymnasium included the conversion of storage and wrestling rooms into new boys and girls locker rooms and two team rooms. The gymnasium is a clear span structure with steel column construction, utilizing girder trusses with steel joists running perpendicular to the girders. 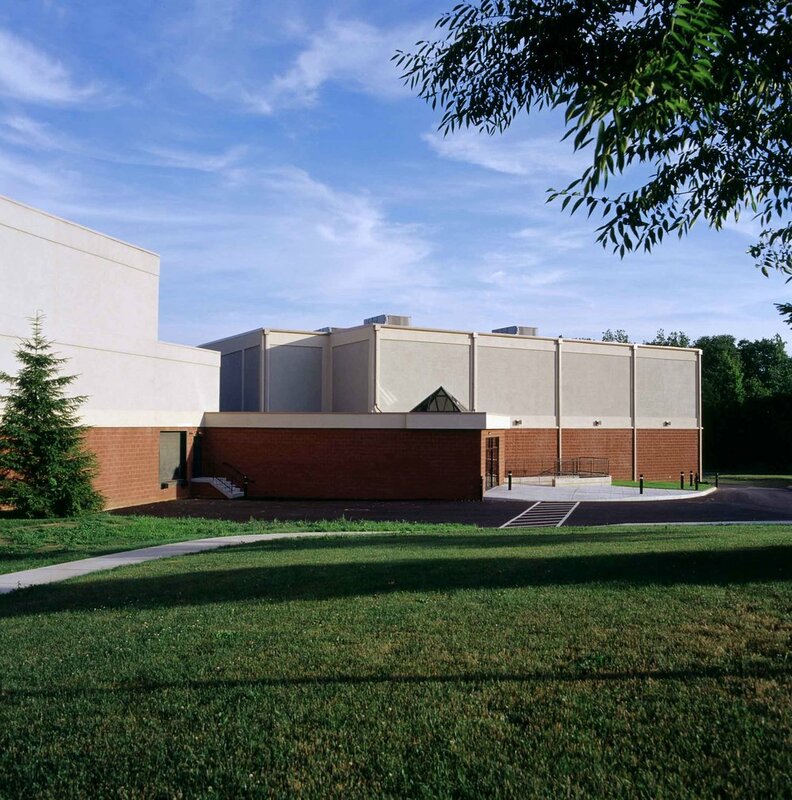 Acoustical treatments included the use of acoustical concrete masonry units and a slotted steel roof deck that allowed the rigid insulation above to be utilized as a sound absorptive chamber.